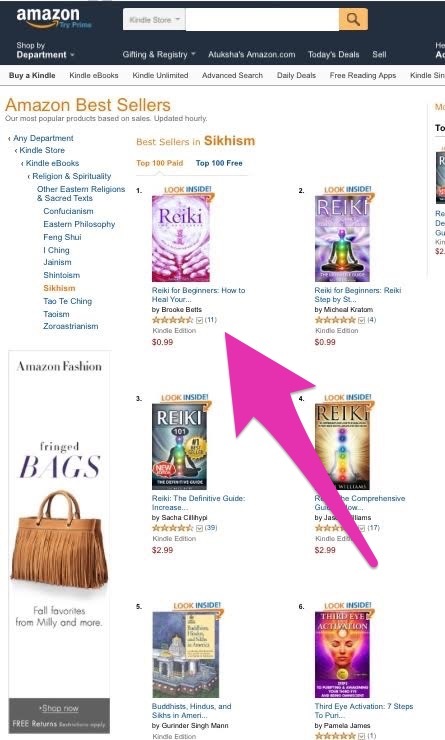 So very excited that my book REIKI FOR BEGINNERS: How to Heal Yourself with Reiki is an Amazon Bestseller! I’m also overjoyed that USA TODAY™ featured my book online, citing that, “Reiki helps people release stress energy.” Indeed, USA TODAY™, indeed. 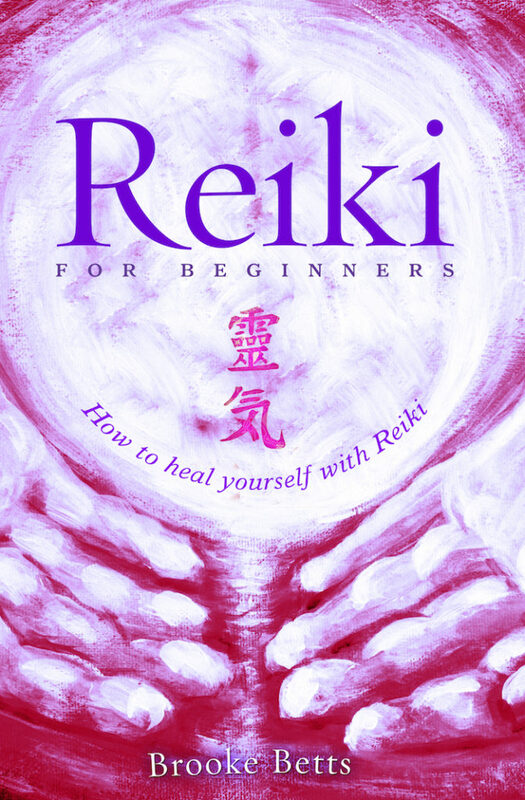 REIKI FOR BEGINNERS is the must-have guide for getting to know this sacred Japanese healing art. Discover why this ancient healing system has gained mass popularity in recent times. Learn an extremely easy technique for deep relaxation and peace of mind. Reiki increases your psychic abilities. Teaches you to stay calm in this busy world of to-do lists and technological overwhelm. Improves your life in ways you can’t even imagine. Learning Reiki heals you on a soul level, helps you get in touch with your true purpose and reminds you why you are here on Earth in these exciting times. Regardless of why you want to learn Reiki, one thing is for sure: once you become attuned to Reiki, your life will never quite be the same again. You will be stronger. More in touch with your POWER. Better able to stay centered no matter what happens around you. Oh-so-powerful Italian Reiki Master Teacher and chocolatier Mona in Belgium with REIKI FOR BEGINNERS. I’m interested in getting more information on the Reiki attunement online course. I’m so happy to hear that you’re interested in my online Reiki I course. Learning Reiki and energywork and understanding we have the ability to heal ourselves is a skill I wish everyone knew. Here is more information about my Reiki I online course, which is where you want to start if you are brand-new to Reiki. Sure thing. Although historically the Reiki Master class was broken down into two sections – one where you were an apprentice of sorts to a Reiki Master and the second part where you taught and attuned people yourself – nowadays most Reiki Master Teachers combine the Reiki Master Class into just one class. That is how I teach as well. So in the Reiki Master Teacher course – which I would love to have you take, by the way! – you’ll learn many things – you’ll receive your Reiki Master Attunement, which attunes you to the Usui Reiki Master Healing Symbol, the Tibetan Master Healing Symbol, and about 40 other powerful symbols. You’ll also learn how to give another person an attunement as well as how to teach Reiki classes of your own up to the Reiki master level if that’s something you’d like to do. It’s a wonderful class, there is just a certain feeling about being attuned to the Master Symbol, almost like a responsibility to yourself to be your best self, in a sense. I was teaching the Reiki Master Teacher course training online one-on-one over Skype, but I am in the midst of putting the finishing touches on my online Reiki video course that I recently filmed in Sedona so I’m not teaching one-on-one at the moment. 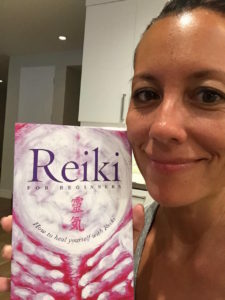 The Reiki Master video course will be ready in mid-August, and the best way to hear about how to sign up and everything would be to join my free Reiki newsletter at http://www.reikitrainingclasses.org/newsletter. In addition to being able to log in and watch the videos any time and as many times as you want, you’ll also be part of a private group of other students going through the course alongside you as well as Reiki Masters and practitioners. It’s nice to hear other people’s questions and experiences and also to ask your own that inevitably arise! Is there any way to take the classes more than once a week to speed up the process? Yes, we could have more than one class per week if you really needed that for whatever reason, but the Reiki I class is only three weeks long, so you might find it nice to kind of “get to know the Reiki” and be able to discuss what’s happened in-between our Skype meetings. But if you really needed to, we could do the entire Reiki I course in one day during a three hour session. We would probably have an hour and a half, then take a break, then the second hour and a half. Regarding your question about how soon you can take a class to become a Reiki practitioner, we can start whenever you are ready! 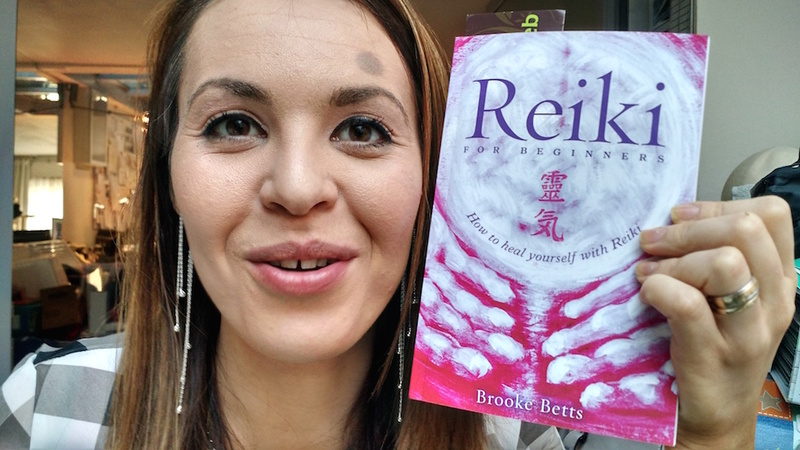 I (Brooke) have been teaching most of the Reiki I online classes, although another Reiki Master Shelby teaches some as well. And my schedule is very flexible, so we can definitely figure out a time that works for both of us I’m sure. The class lasts for three weeks and costs $150 for the course, which you would pay via PayPal beforehand. Although we have had some great group Reiki classes, we have been finding that it’s just too difficult to coordinate everyone’s different time zones and availability, so the class would be a one-on-one private class through Skype. You would receive your attunement (which means you can start practicing Reiki immediately after that), in the first hour-long class, and we will also talk more about Reiki, go over the manual, and I can answer any questions you might have. The two Reiki symbols you will be attuned to in Reiki I are the Power Symbol and the Peace Symbol. You will also learn the traditional hand positions, how to practice intuitive Reiki, and how to do a complete Reiki session on yourself and others. I think perhaps the best part about learning Reiki is that almost everyone finds it very empowering, not to mention just a little bit magical. At the end of the course, you’ll receive a personalized certificate with your name in calligraphy stating that you’ve completed Reiki I. Thanks again for contacting us! I sent you a personal email, and please feel free to respond if you have any additional questions or if you want to sign up for the class. We are based out of Southern California and can set up a class for you either during the day or in the evening as well. When is the soonest that I can take Reiki courses to become a Reiki Practitioner? Also, what is the cost for this/ Thank you!